Perfect for all shooting or training applications. 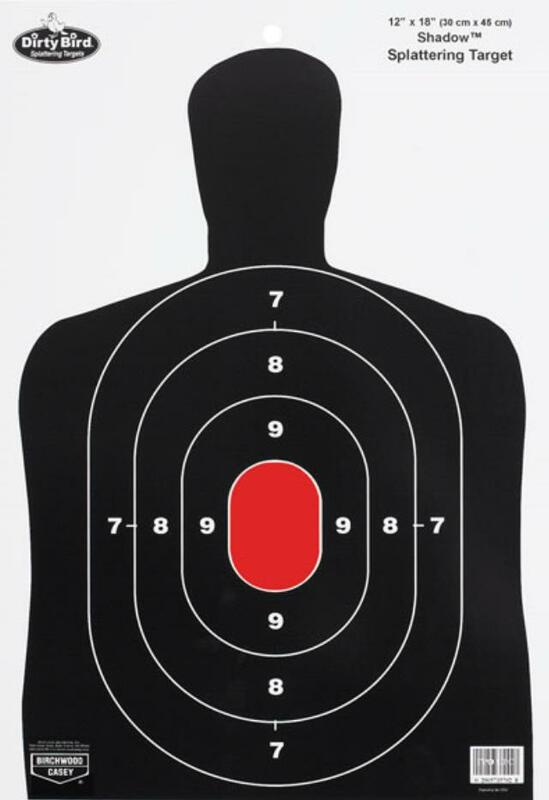 These targets splatter white upon bullet impact, making for fast and easy hand and eye coordination. Being able to see your shot immediately reduces down time from training and lets you put more bullets downrange in less time. * Please call us for any questions on our dirty bird 12x18 b27 silh. 8pack in Cedar Rapids IA, Iowa City, Mt. Vernon, Marion, Hiawatha, and eastern Iowa.